Northern Michigan Conservation Network Connecting conservation-minded hunters, anglers and outdoor enthusiasts to the issues facing Michigan's forests, waters and wildlife. Restore and maintain native plant life. 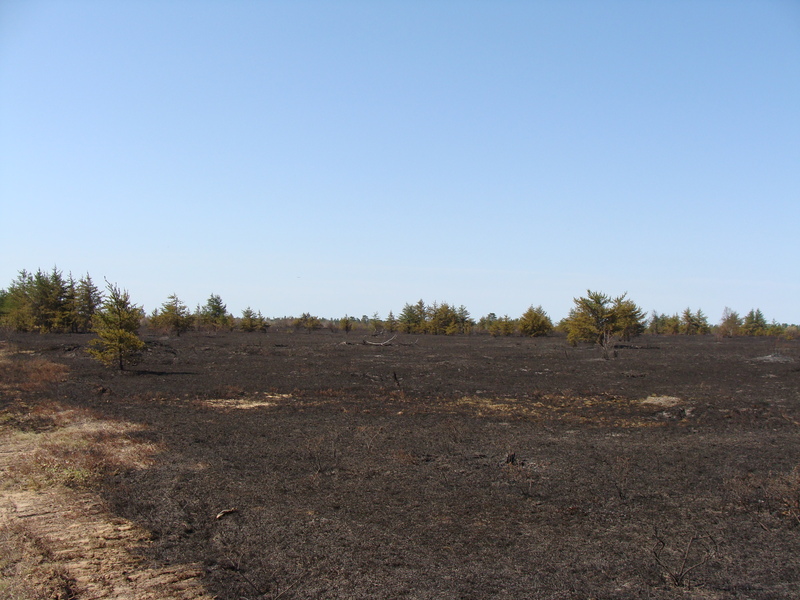 In this instance, the burn represented the continuation of past efforts to maintain a grassy plain in an area of western Luce and eastern Schoolcraft Counties known as the Danaher Plains. 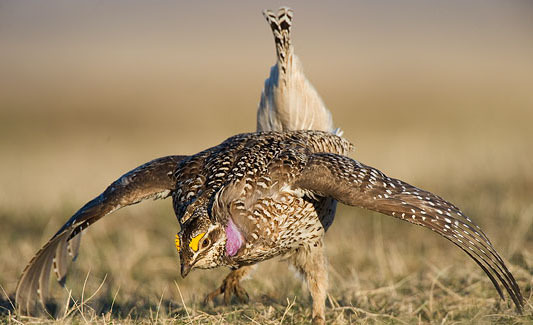 Although the Danaher Plains area is likely best known for its well-traveled ORV Trail, such opening management practices have served as a significant aid in the restoration efforts of sharp-tailed grouse in this portion of northern Michigan. From a personal perspective, it was impressive to witness how precisely those involved in managing the fire could define the area to be burned. It was as though they were coloring using a black crayon and didn’t go outside the lines on this vast, tinder dry opening. Air surveillance continued both during and the days after the treatment. It was also exciting to see this commitment to maintaining a diversity of wildlife habitat at a time when we had feared that the competition for limited financial resources would have made it far easier to merely let such places regenerate as forest lands. This is likely just one more example of how the recent hunter/angler license restructuring package and the associated funding it has been allowed to capture represents a long term reinvestment in our public landscapes. The mission of the Northern Michigan Conservation Network is to "connect conservation-minded hunters, anglers, and outdoor enthusiasts to those issues affecting Michigan's forests, waters, and wildlife."